These B&W 2-1/4" x 3-1/4" glossy cards take their name from their borders which have a scalloped effect. 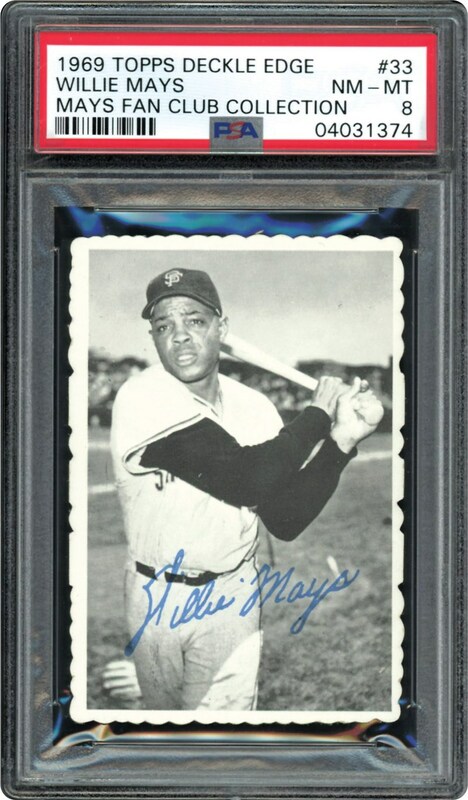 There were 33 cards issued but 2 of the numbers were issued twice making the set 35 different cards. 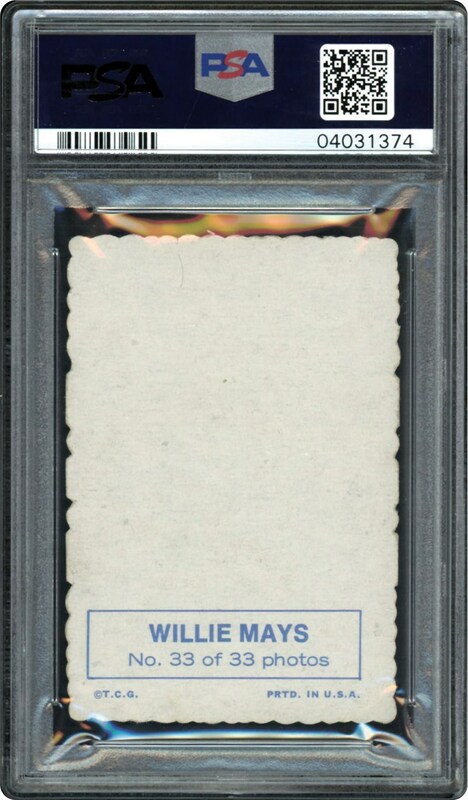 Offered here is the last card of the set, #33 Willie Mays, in a PSA 8 holder.